You are here: Home / FEATURED POLITICS / DID OBAMA DECLARE HE WILL PUSH IMMIGRATION THE FIRST YEAR OF HIS NEXT TERM? DID OBAMA DECLARE HE WILL PUSH IMMIGRATION THE FIRST YEAR OF HIS NEXT TERM? Topics included democracy promotion, drug trafficking, and race relations. 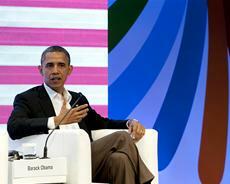 President Obama says he will push for major immigration legislation if he is re-elected. 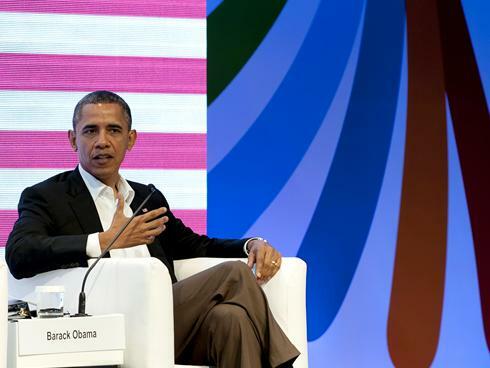 Obama told Univision he would like to do immigration this year, but Republican opposition is too intense. 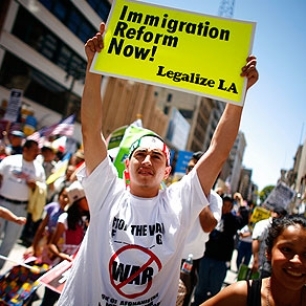 Obama supports what he calls a “comprehensive” immigration bill. It involves both tougher border security as well as a pathway to citizenship for illegal immigrants who are already in the U.S. Republicans say the emphasis should be on border protection, and liken citizenship plans to amnesty for lawbreakers. 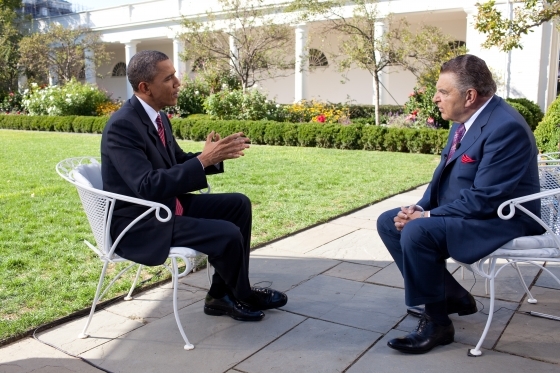 In the Univision interview, Obama took a swipe at one of those Republicans, likely election opponent Mitt Romney. Republican Party spokesperson Kirsten Kukowski said Obama “promised to tackle immigration reform in his first year and failed.””From immigration to creating jobs and cutting the deficit, President Obama has failed to follow through on his promises to the American people showing his words are more about winning elections than anything else,” she said.